Can you believe it’s been half a month already? 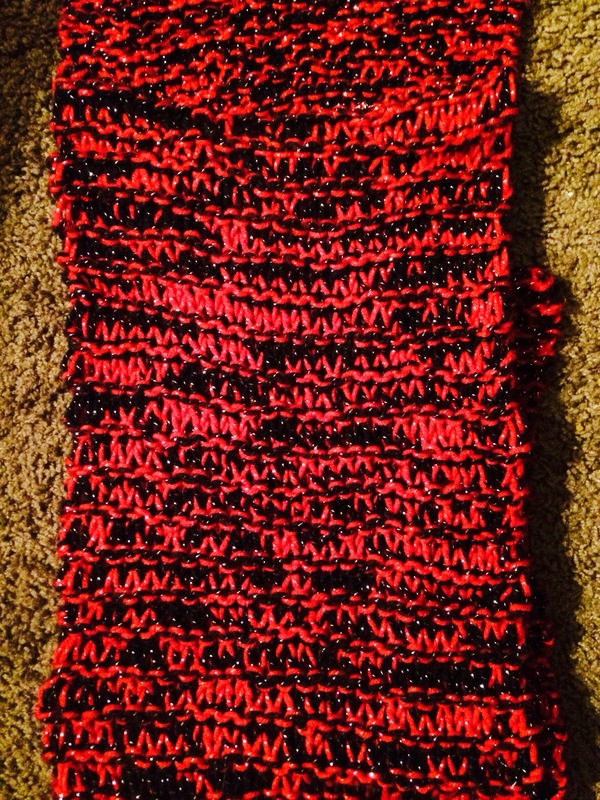 This scarf is very special, it was made for me when I was in high school by my best friends mom. 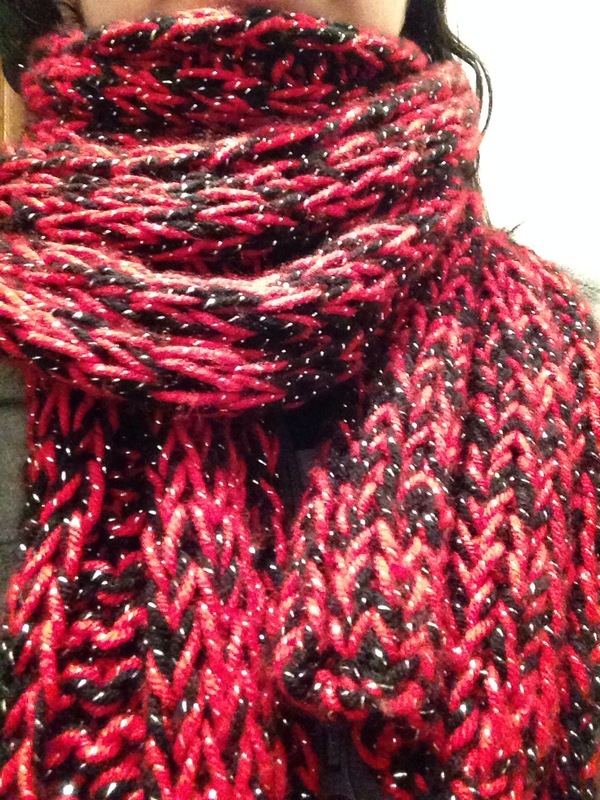 When she started knitting she made us matching scarves. They’re not exactly the same because hers is in garter stitch, knit every row, and mine is a 4 by 4 rib, knit 4 then purl 4.
over and over again. And that’s what you have to do when you knit a rib stitch. 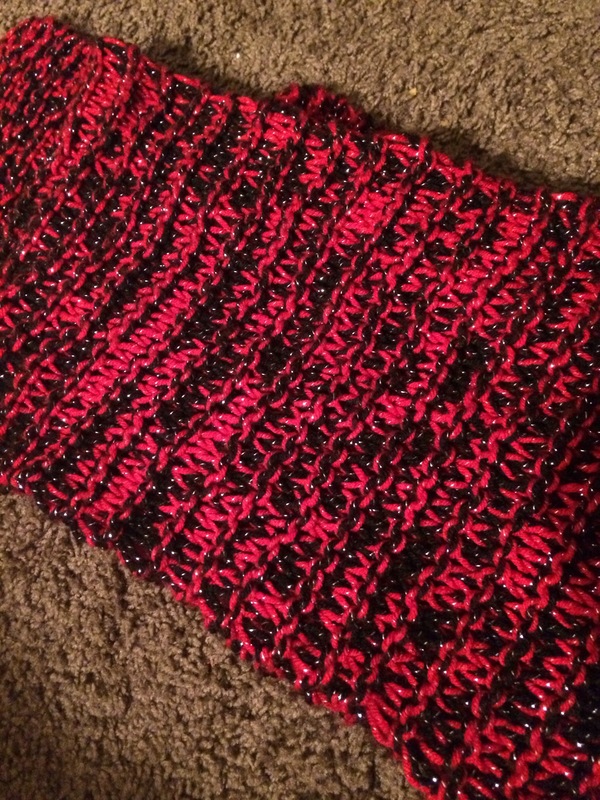 She had knit two strands of yarn together one black and one red but both sparkly. I love it and it’s wonderful. 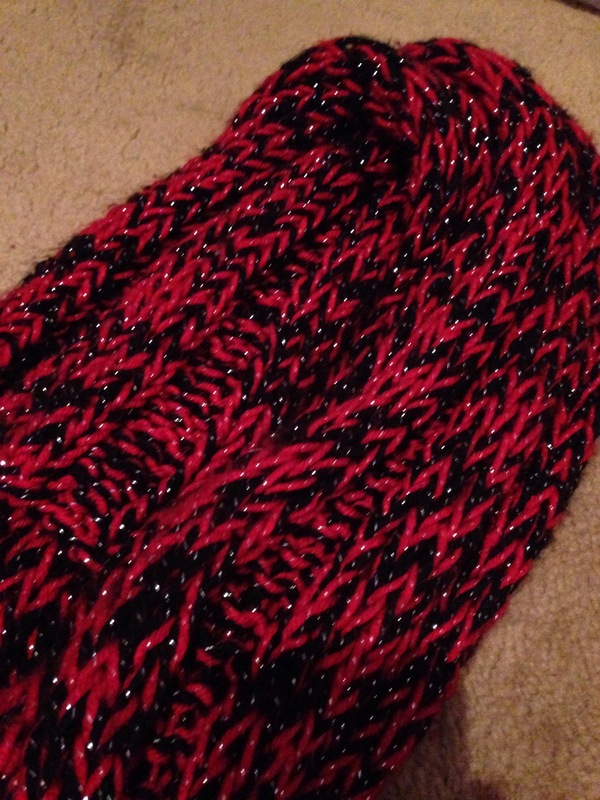 So thanks to Mrs. H for making them and my friend C for sending me pictures of her scarf.